Mari Sandoz in New York, Halsman photograph, copyrighted. 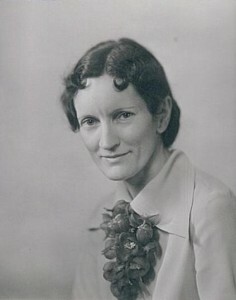 Mari Sandoz is remembered today as a regional historian, biographer, novelist, teacher of creative writing, and authority on the Plains Indians. Her Great Plains series stands as her central achievement because of its singular interpretation of the High Plains region from the Stone Age period to the twentieth century. 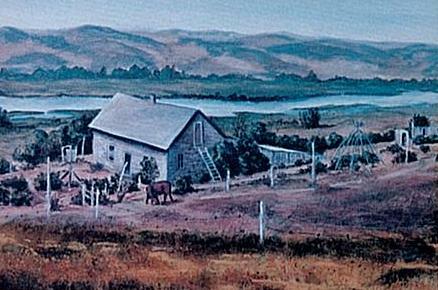 As a resident of western Nebraska, Mari Sandoz participated firsthand in the settlement of one of the last “free” land areas of the continental United States — the Kinkaid period of the twentieth century. Although her scars were no greater, and no less, than those of the thousands who experienced the same thing, she was the one who put them down in writing. Mari Sandoz has left each of us with a richer appreciation of our past and a clearer vision of our future through her 22 published books and numerous short stories and essays. 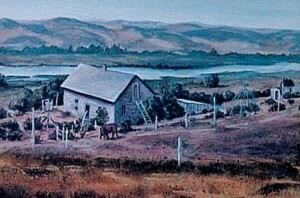 Birthplace of Mari Sandoz, Sheridan County, Nebraska, May 11, 1896. Many years ago I found at a book sale a well worn, discarded, water stained, autographed, limited edition library copy of The Buffalo Hunters. Well, I finally read it last year. What a beautifully written piece of American history! I’ve since found a copy of Winter Thunder and I am totally amazed that she could take me so completely to that time and place. I can only hope that Mari Sandoz found the appreciation she has come to deserve of her work to preserve that history. I have a request to see the cover of the book “Foal of Heavan” I hear there may be the orginal and a newer reprint in the 90″S could you confirm that please. Hello Dirk, Our copy of “Foal of Heaven” is the same as is shown on Amazon (https://www.amazon.com/Foal-Heaven-Mari-Sandoz/dp/0942625013/ref=sr_1_1?ie=UTF8&qid=1516747488&sr=8-1&keywords=foal+of+heaven+mari+sandoz). As far as I know, there is only one edition.